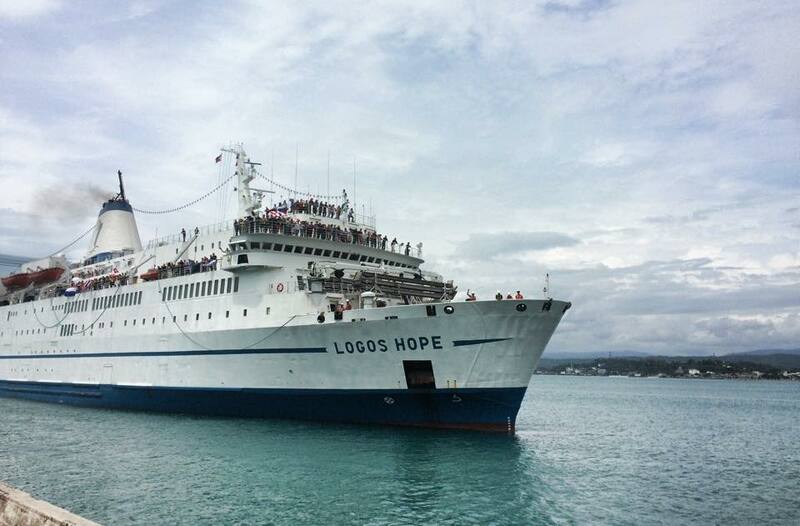 Greetings from Logos Hope in Subic Bay, Philippines. While Gareth has just finished delivering a miniseries at morning devotions entitled ‘Unexpected Bessings from God’, Malou has been in Manila with her mother whose house is being renovated. However, Malou did manage to spend two evenings with a group of ladies who attend a local Bible study established by her mother where she was able to explain the gospel. Apparently, it was much appreciated. Gareth had 24 prospective preachers attend his on board workshop and as they now preach to an audience and to camera, he is starting the process of giving each individual feedback. Nationalities included Egyptian, Pakistani, Filipino, Mexican, Brazilian, South Korean, Papua New Guinean, Paraguayan, Singaporean + Europeans. Only one has English as a first language!